Things have been busy so I'm a bit behind with book reviews. Thus, I'm just going to do two quick ones to catch up. 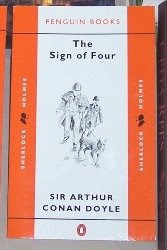 The first is The Sign of Four, by Sir Arthur Conan Doyle - a Sherlock Holmes mystery of course. It's a couple of weeks since I read this and it's hard to remember the details. Basically, Holmes is bored and taking drugs when suddenly a Miss Morstan appears with a problem. Her father died under suspicious circumstances some years before and suddenly someone is sending her pearls and apologising for the way life has treated her. Why? Watson is smitten and Holmes investigates. Wonderful, as always. The back story concerning warfare in India and skulduggery and deception with treasure is most fascinating. I love the scene where Holmes and Watson go in hot pursuit of the villain in a boat on the Thames. Great stuff and I'm all ready now to read my next Laurie R. King novel - The Moor. The Mapp and Lucia stories by E.F. Benson seem to be beloved of various friends and bloggers so I thought I'd try them for myself. 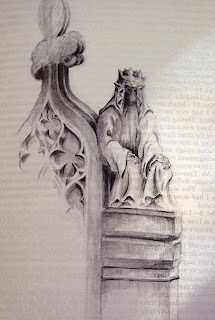 Queen Lucia is the first in the series. 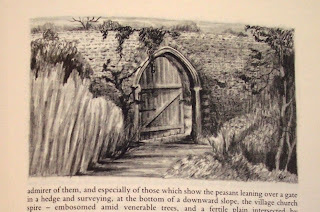 The story is set in the sleepy village of Riseholme. Mrs. Lucas, known to all as 'Lucia' (pronounced in the Italian manner), is queen of the village and everyone follows her lead in all things artistic. We're introduced to various characters, Georgie, Lucia's effeminate second in command, The Quantocks, Mrs. Weston, Col. Boucher etc. It soon becomes apparent that though they all follow Lucia's lead there is in fact quite a bit of rivalry to be the first with a new fad or with news. And the latest thing is that Daisy Quantock has an Indian Guru living with her and her husband. Lucia is green with envy and furious that Daisy has done this without consulting her. Next thing we know there is a famous opera singer, Olga Bracely, staying in the village and Lucia is again the last to know. What's happening and how will Lucia cope with what appears to be a fall from grace? E.F. Benson's writing is not new to me - I've read probably all of his superb ghost stories and think he was one of the best supernatural writers around in the first half of the 20th. century. I hadn't tried his Mapp and Lucia books though, not sure why, just wasn't the right time I think. My third book for Carl's RIP III challenge is The Ghost Stories of M.R. 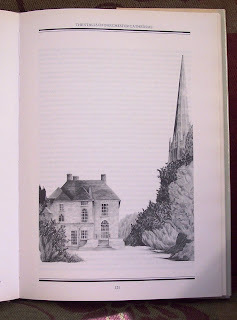 James, selected by Michael Cox and illustrated by Rosalind Caldecott. The anthology includes some fifteen stories but starts off with a thirty page biography of the author, which I read after I'd read the stories and found fascinating. M.R. James was what you would call a scholar in the old-fashioned sense. Educated at Eton and then King's College, Cambridge he never married and dedicated his life to these two educational establishments as a teacher, but also to his writing. And what writing. I first read most of M.R. James's ghost stories about fifteen years ago. I thought then that they were very readable but not necessarily as brilliant as people said and that there were other writers of the supernatural who were just as good. Now I'm not so sure. I read these fifteen stories and became utterly enthralled by the imagination displayed and the gorgeous writing that sweeps you away into a world of libraries, churches and stately homes where weird happenings are the order of the day. ... which tells what happens when a new archdeacon takes over from one who has let things slip, and how some rather weird statuettes on the end of the pews are involved in his downfall. A Vignette was also a big favourite. 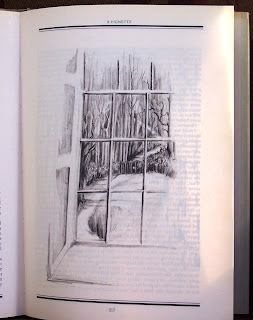 It was the last ghost story James ever wrote and is apparently slightly autobiographical in that he used the rectory where he grew up as a setting. It tells the story of a young boy growing up in the vicarage who feels that something is very disturbing about the corner of the garden he can see from his bedroom window. Difficult to overstate how much I adored this anthology of weird stories. 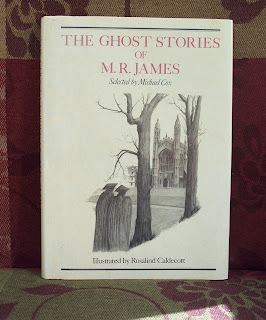 In the biographical bit it describes James's stories as a 'sub-genre of antiquarian ghost stories' and that's a perfect description in my opinion. James knew his world and used it time and again to great effect. I don't think 'stunning' understates the case. I was blown away by the quality of the writing and adored the supernatural bent to the tales. These weren't just stories about ghosts, there's all kinds of daemonic weirdness here and it was truly amazing to read. Add to that the lovely illustrations of Rosalind Caldecott and you have a beautiful volume of stories that I'm thrilled to bits to own. My second creepy story for Carl's RIP III challenge is a Young Adult spine chiller, The Vanished by Celia Rees. I happened to spot this in our local Oxfam shop, liked the sound of it and bought it. I'd not read anything by this author before, although I had heard of her... I just can't remember where or why. I've since discovered via her FantasticFiction entry that she's actually quite a prolific writer of young adult novels, mainly, but not all, in the horror genre. The story revolves around three older teenagers, Cassie, Fraser and Jake. Cassie, aged somewhere around 17, is the editor of her school newspaper - a newspaper that is not doing very well at all. Fraser is a new boy who you immediately learn has problems, but not what they are. He volunteers to write for the newspaper on his first day and immediately takes an interest in some photos Jake - the paper's photographer - has taken. They're rather weird studies of various abandoned tunnels or water culverts, all over the city, but when asked Jake has no idea why he felt driven that morning to go out and take these photos. First of all, I thought the three teenagers who were the main characters in this story were very nicely drawn. I liked Cassie a lot for being someone who is focussed, not only on her newspaper, but on her future career as a journalist - but at the same time is a normal teen who falls in love and so on. The boys felt real to me too... I love the way Jake, a year younger than the others, just can't make girls out at all. He adores his little sister but is quite resigned to the fact that at 12 she'll become someone he simply won't understand. This is all nice characterisation, in my opinion. I think I must be a bit fascinated by underground worlds with lots of creepy tunnels and caves, in fact I know I am. There's quite an element of that in this book and it's incredibly well done - creepy and quite disturbing. The haunting element is likewise excellent and quite adult in content really, despite it being a book for *young* adults. In short, I was very impressed by Celia Rees and this novel of hers that I bought on a whim. The writing is pacey and the book a page-turner. It was sufficiently creepy to have me looking around the bedroom when I was reading it late at night! Nice one. I'll be checking out the library to see if they have anything else by her *and* keeping an eye on the charity shops of course. I haven't done a recent acquisitions post in ages, June I think, so I fancy it's time for one of those. I don't actually think this is all of them by any means. *cough cough* These are just the ones I haven't stashed away somewhere or are to hand because they're to be read for challenges. I was thinking the other day that if someone ever abolishes charity shops I would be in a right pickle. There's no easier way to get a quick book fix in the UK, if you're able to get to them, (apart from the library and I indulge in that pastime too...) and not only are the books cheap, you're also helping out someone less fortunate than yourself at the same time. So anyway, here are a few of my latest purchases that I don't need to feel guilty about buying at all! 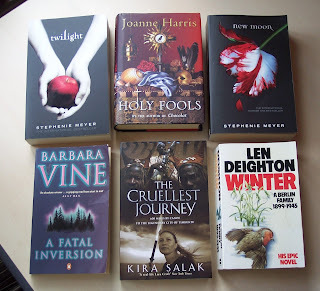 These six are four charity shop buys and two new. I'm going to read Twilight for the latest RIP challenge and have a feeling I might want to read New Moon fairly quickly after, along with the rest of the family, so thought those were worth investing in new. This particular Barbara Vine I've had recommended to me by several people so nabbed it quickly when I saw it in the Tiverton Oxfam shop. Holy Fools I've had my eye out for for a while too so that was likewise nabbed quickly. And the other two just looked interesting, particularly The Cruellest Journey, by Kira Salak, which is the story of a woman's journey up the Niger by canoe, following in the footsteps of Mungo Park, two centuries ago. This lot are three new books and four charity shop buys. Black Sun Rising and Shadow Bridge were recs from fellow bloggers who have loved them and I always take notice of good fantasy book recs. The Stolen Child by Keith Donohue is a book I've wanted to read forever so I had no hesitation in adding it to a recent Amazon order to get free postage. The rest were all from charity shops. 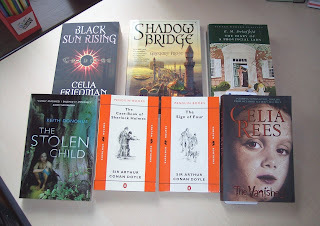 The Vanished by Celia Rees is the book I'm reading at the moment for the RIP challenge and I'm loving it. Diary of a Provincial Lady is a book I read a few weeks ago so you may be wondering why I bought another copy. 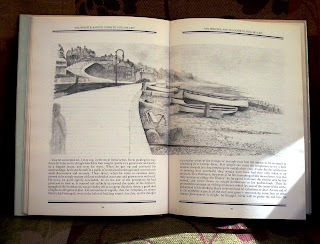 Well, it seemed to me it was too big for just one book and when I glanced inside I saw that it included not only that book but three sequels - The Provincial Lady Goes Further, ... in America and ...in Wartime. Was I delighted? Oh yes. The other brilliant find was yesterday in Teignmouth's Oxfam shop, and that was two brand new Sherlock Holmes books, one of which, The Sign of Four, I've been hoping to spot in a charity shop as it's the next one I want to read. I have it in a huge omnibus but it's too heavy to hold so I've been collecting these lovely little paperbacks. So, all in all I reckon that's not a bad haul, with some interesting reads to come there. Well, I've got my first book for Carl's R.I.P. III challenge under my belt fairly quickly and am quite pleased about that. The book is The Vampire Tapestry by Suzy McKee Charnas, who is an author I'd not previously heard of. I came across her here on the FantasticFiction entry for Peter S. Beagle. 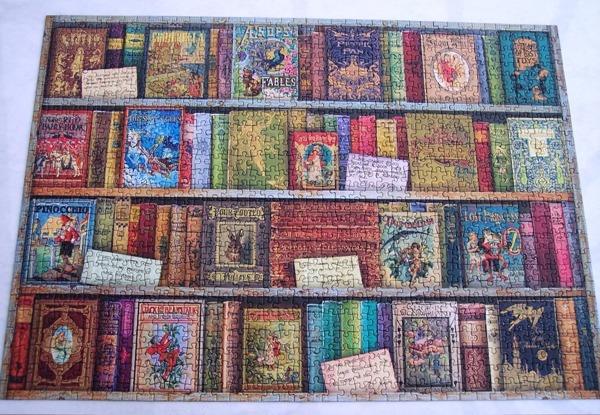 Often these entries are accompanied by some book recommendations from said author (you have to scroll down to the bottom of each entry) and they're nearly always worth looking at; I've found a few decent books this way. "On Tuesday morning Katje discovered that Dr Weyland was a vampire, like the one in the movie she'd seen last week." The first thing to know about this book is that it isn't a novel in the traditional sense, it's really a series of five novellas that make a whole story. The first takes place as stated, in the university, the second in the appartment in NY, the third tells how he becomes a patient of a psycho-therapist, also in NY, after which he moves to New Mexico. Things do all tie up in the end but the joy of the story is in the journey so to speak. The second thing to know is that this is not a cosy story. Dr Weyland is not a benevolent vampire, he's a hunter pure and simple. He's cold, manipulating, emotionless - lives only for his next meal and loves the hunt. And yet, oddly enough, it's still possible to empathise with him and even feel sorry for his plight! This is obviously due to the skilful writing of Suzy McKee Charnas - she writes well and keeps you turning the pages. The only section I did find ever so slightly tedious was the one based on a trip to see the opera, ' Tosca', in New Mexico. I'm not much into opera (even though I'm thoroughly enjoying 'Maestro' on TV) and there was a great deal about it in this part. But that's only a very minor quibble in an over-all enjoyable read. Peter Beagle is quoted as saying it was the best vampire novel he'd ever read. 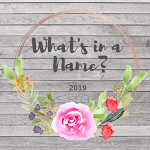 I wouldn't quite say that - my favourites so far would be The Historian by Elizabeth Kostova and Sunshine by Robin McKinley, not to mention Carpe Jugulum by Terry Pratchett. But The Vampire Tapestry is, nevertheless, excellent and definitely a keeper though I think I might try to get a copy with a nicer cover at some stage. A good start to the challenge.